The Summer Internship Program is meant to bridge the gap between real-life business and academics. All the students are required to undergo the SIP for 14 weeks between close of second semester and commencement of third semester. The SIP sensitizes the student to the nuances of a work place by assigning time-bound projects in a company and provides students with opportunities to apply the concepts learnt in the classroom to the real-life situations. Summer Internship carries a weightage of 15 credit units. IBS Business School Dehradun supplements its teaching resources by inviting eminent professionals from the diverse industry sectors like Management Consulting, Banking, Financial Services, Manufacturing, IT & ITES etc to share their insights and to provide its students exposure to emerging trends as well as the expectations of industry and business from the MBA students. The process of interactions with industry professional continues throughout the year. Senior executives from the various companies across diverse sectors are invited wherein the students get opportunity to interact and understand the realities of the current and emerging business scenario. “Prarambh – the new beginning” is one such event which is held annually to provide students the opportunity for such interactions. IBS Business School Dehradun provides opportunity to its students to get on-the-ground feel about different industries in the vicinity of Dehradun by conducting visits to various industries like Syncom Healthcare Ltd., Tirupati Industries, Halonix Ltd., Birla Yamaha, Liberty etc. 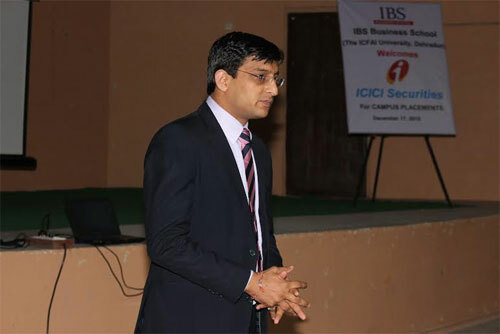 IBS Business School Dehradun maintains regular interaction with its alumni. The professional success of our alumni provides an impetus and a strong motivation to excel, to our present students. Interaction with them helps our existing students to learn from their experience in the industry. IBS Alumni Federation consists of over 25,000 members from all IBS centers employed across the world. Faculty members at IBS Business School Dehradun believe in continuously researching and publishing articles, research papers and books for upgrading their knowledge on a regular basis. They participate and present papers in both national and international seminars. 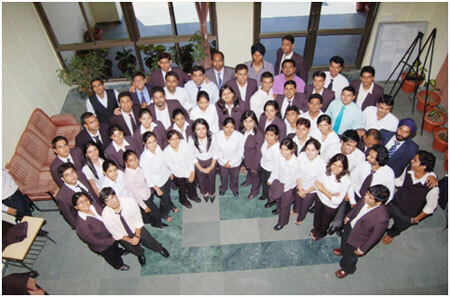 IBS Business School Dehradun conducts faculty development programs in the area of management research. The program seeks to provide important inputs for taking up consultancy assignments and doing research for publishing in academic journals and pursuing doctoral research. Researchers & faculties from different B-Schools and practicing manager from organizations like IMRB participated and benefitted from the recent program held at IBS Business School Dehradun.